Vung Tau has become a popular tourist destination in Vietnam, over the last few years. Mainly because there is the wonderful beaches, beautiful mountains, kite surfing, and even the local meals. If you are lucky enough to be planning on visiting Vung Tau, there are so many wonderful things to do in Vung Tau Vietnam that you should not miss. Here is a few things to do in Vung Tau Vietnam. Vung Tau’s beaches may become your first destination to visit, once you arrive in Vung Tau. There are so many popular and beautiful beaches which are suitable for tourists to relax such as Pineapple beach, front beach, paradise, beach, Back beach and much more. Front beach is the most favorite beach for many local and international tourists who visit Vung Tau. This beach is quite crowded and it is a bit polluted. So, you may forget the Front Beach and choose other beaches or you just stay at the beach and find other things to do. For instance, you can try to find some restaurants nearby and enjoy some delicious seafood menus. According to some tourists, Front Beach has the most delicious seafood in Vietnam. If you still have a chance to explore other beaches, you can go to Back Beach which is cleaner and it is a great spot for surfing. The Back beach has a very strong wind that is perfect for kite surfing. So, you can rent kite surfing from some kite surfing shops around. Pineapple beach is also quite popular for viewing the amazing sunset. It also has calmer water. So, if you want see the sunset view, you can go to the Pineapple beach. Or you can go to Paradise beach that has a very amazing resort park. But, you must buy a ticket to get into the resort. There are so many fun things to do at this beach, so you should try not to miss it. It is not as huge as the Rio De Janeiro statue but it resembles it if not almost very similar to it. Somehow, this really does look big, with it been 105 feet tall statue of Jesus. 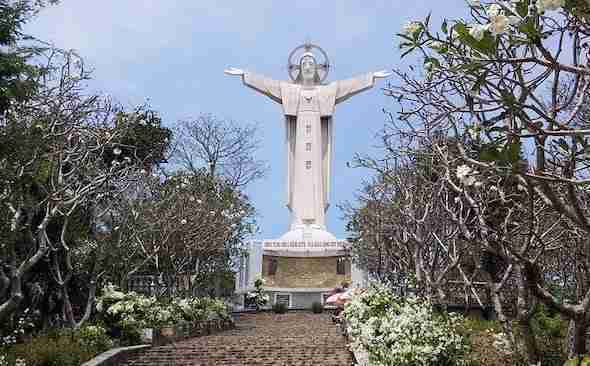 The statue of Jesus is also built on the top of Nui Nho mountain, therefore offers amazing city view from the top. This spot has become a popular spot to see a beautiful sunrise. Somehow, if you want to reach the top, you will have to climb 847 steps. Once you get there, you will be amazed at the perfect scenery that you can see from the peak. Also, you can also go inside the statue and climb up to the statue’s shoulder to get an amazing view of the City. 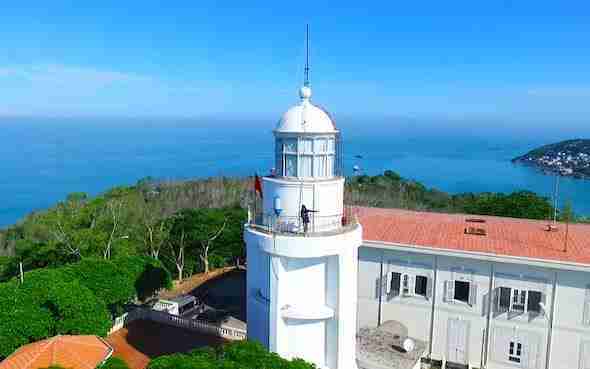 Vung Tau’s lighthouse is located on the other side of Nui Nho hill and it is one of the oldest lighthouses in Vietnam. This lighthouse was first built in 1862 by the French colonials. If you want to visit the lighthouse, you need to climb up the hill on the other side of the Jesus hill. Fortunately, if you are currently around the Jesus statue, you can go down to head to the lighthouse area. You do not need to walk because you can go by car or motorbike. Once you get to the lighthouse, you will see the wonderful view from this area and it is extremely photogenic. The lighthouse is also open for 24 hours, so you can visit the area in the morning or in the night. If you like to go wild to see beautiful nature, then you may visit Ho May Culture and Ecotourism park. It is a fun place to visit that will make your holiday more fun. How much does it cost? The entrance ticket costs as much as $20.00. Where you can enjoy the cable car and you also get to use other fun rides when you enter the park. What are fun things to do in the park? Well, you can do some fun activities such as go-karts, rollercoaster, bumper cars, water games, archery and even paintball. Of course, this amusement park is suitable for everyone including family or kids. You should not leave the city before you visit Vung Tau’s seafood and markets. Here, you can find and try so many different foods and unqiue souvenirs. This is the best time to enjoy some local meals in Vietnam that you have never tasted before. After that, you can enter the market to look for some souvenirs and items. Where you might pick up a bargain. I have been asked where places are on the map. 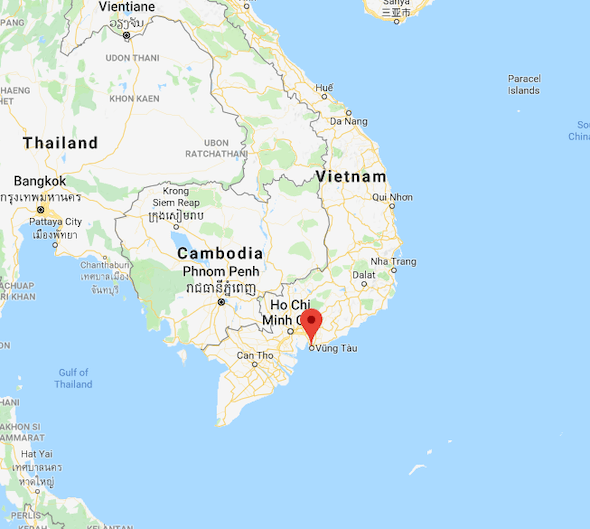 So I added a picture shown where Vung Tau Vietnam is. Vung Tau has loads of guest houses, hostels, and hotels. 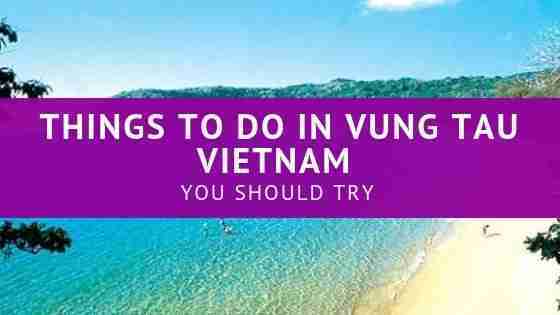 Here are a few places to check out if you are planning to visit Vung Tau Vietnam. Ngoc Hanh Beach Hotel is situated in Vung Tau and provides free WiFi and a ticket service. 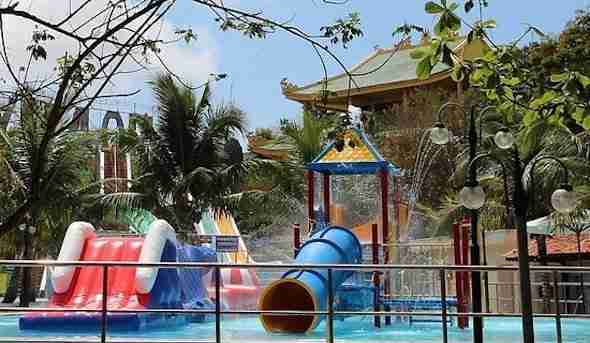 This property is located a short distance from attractions such as Christ of Vung Tau. The property has a restaurant. All rooms in the hotel are fitted with a flat-screen TV with cable channels. All rooms are equipped with a private bathroom, while some feature a sea view. The rooms feature a wardrobe. Huy Phat Hotel is located in Vung Tau, 2.2 km from Nghinh Phong Cape. The accommodation provides a 24-hour front desk and a shared lounge for guests. The rooms in the hotel are equipped with a flat-screen TV. The private bathroom is fitted with a shower. All guest rooms at Huy Phat Hotel have air conditioning and a wardrobe. Chau Tran Hotel offers bright rooms in Vung Tau with air conditioning. The property is within a 5-minute stroll to Back Beach. Rooms are air-conditioned and come with a flat-screen cable TV, sofa and wardrobe. Private bathrooms are fitted with a bath or shower. Free toiletries are provided. Finally, those are a few things to do in Vung Tau Vietnam. In fact, there are so many other beautiful places to visit Vung Tau Vietnam, that you may want to explore. And that’s it for now! 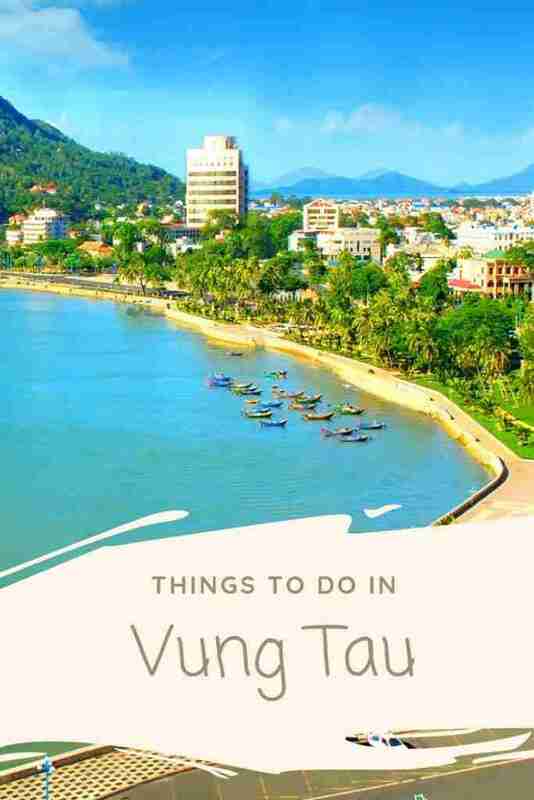 I’d love to know if this guide on the Things to Do in Vung Tau Vietnam has helped you. Let me know if you have any questions and let me know if you go too.